Summer has been brutal and I'm welcoming Fall with open arms. Life is way more than pretty Instagram pictures so I'm giving you a sneak peek into what I'll be doing this Fall before the photos drop, because you know they're coming right? Check below for what's on my to do list for Fall. 1. It doesn't get more cozy in Fall then grabbing your favorite blanket and snuggling up to read a good book. I've had my eyes on Paper Towns and I'm excited to grab a copy of it for a good Fall reading session, PSL in hand of course. 2. Speaking of snuggling, hubby & I can't wait to cuddle up and watch the return of Once Upon a Time. I'm definitely a binge watcher, but I'd feel too left out to wait for the whole season to pass before I watch it. 4. I absolutely love Apple Pie and I can't wait to test out some new recipes. This apple pie cupcake recipe especially caught my eye, so it will be first on the list of things to make. 5. Fall's not Fall without fashion. This Fall F is for fringe. I'm looking forward to adding a little fringe to my wardrobe. I'm thinking I'll ease into it with this cute purse. Great list! I haven't been doing much reading lately, I may have to check out PaperTowns. I love fringe as well, and I actually have that purse in brown and light gray. 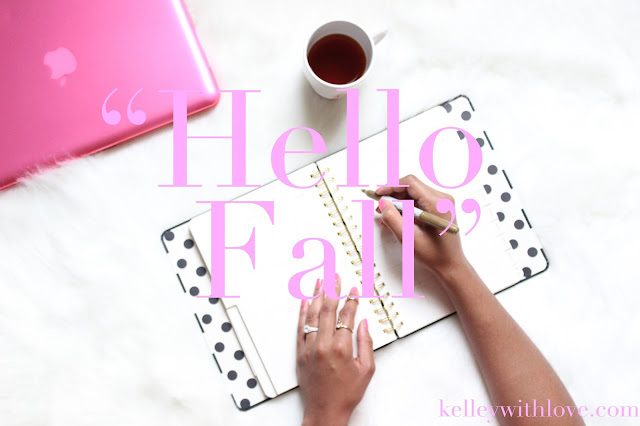 :-) I can't wait to add some suede and more boho items to my fall wardrobe, I'm also looking forward to doing more with my blog.